As bakers and confectioners deal with low-calorie and gluten-free demands, suppliers suggest novel sweeteners and nuts. The future of confectionery ingredients is tied to the view of sweets in the modern diet. After decades of being treated as threats to our health, confections are finally accepted as normal, enjoyable indulgences, perfectly compatible with a healthy diet. More than just change of attitude and understanding of practical nutrition, ingredient providers helped processors create selections lower in calories and cholesterol, vegan or gluten-free, to match special needs and preferences of consumers without compromise on the organoleptic qualities that make sweets so delightful. "Many companies in the confectionery industry have become more in tune with today's calorie-counting consumers," says Daniel Bailey, R&D scientist for Gum Technology Corp. (www.gumtech.com), Tucson, Ariz. "We're constantly developing new products to aid in stabilizing systems where components such as sugar, fats or eggs need to be reduced or excluded, without compromising texture or flavor." The company's products include fat replacers that mimic the consistency and texture of fat and stabilizer systems that reduce or replace eggs while still providing the functionality and structure seen in full-egg formulations. "By implementing stabilizers in place of ingredients that rank poorly in nutritional value, companies are able to produce products that are more appealing to health-conscious consumers," Bailey adds. Stabilizers in confection products, such as cake icings, pastries, marshmallows and chocolates, can help prevent sugar bloom that often forms prematurely in sugar-rich foods. In ice creams and other frozen confection products, gums help bind loose moisture that results in ice crystal formation. In this way gums can substantially improve shelf stability, texture and overall quality of products. As consumers experience increased interest in the "green" topics of organics, fair trade and sustainability, there has been an equal increase in demand for ingredients, especially cocoa and chocolate, certified from organizations such as UTZ Certified, Fairtrade and the Rainforest Alliance. Sustainable practices are rapidly becoming an inescapable choice. And manufacturers have responded: Product introductions with ethical claims continue to double annually. The power of this trend will be evident in the ingredients confectioners include in the coming years. Another key aspect to helping provide shelf stability is controlling moisture. By rearranging the water molecules and binding the moisture in a system, mold growth can be inhibited. In many confection applications, sugar syrups, such as high fructose corn syrup, as well as different oils are used in coatings or employed as binding agents. Different gum systems, such as gum arabic, can be used as an excellent alternative. These gum systems serve as binding agents, aid in protecting and adhering color and help strengthen a coating or shell, allowing the sugar and fat of many confection applications to be substantially reduced. Moreover, since the main component of hydrocolloid gums (such as tara, fenugreek, konjac, arabic) is a combination of soluble and insoluble fiber, gums have a fiber content of 85 percent or higher, mostly soluble fiber. In the rush to create gluten-free confections, processors can find themselves facing a host of technical challenges. "Granulation can be an issue, especially when dealing with rice flour," says Matt Gennrich, food scientist at Cargill Inc. (www.cargill.com), Minneapolis. "Many producers use a fine or superfine granulation of rice flour for gluten free products. To achieve a similar texture/mouthfeel to gluten-containing products, it's important to optimize the individual starch blends of gluten-free products to mimic the pasting and gelling properties of their counterparts," Gennrich says. "Not all baked goods are made with the same type of wheat flour; the same approach is needed with gluten-free products." Scott Helstad of Cargill's corn milling technical services, points out that texture also is impacted by different sweeteners. 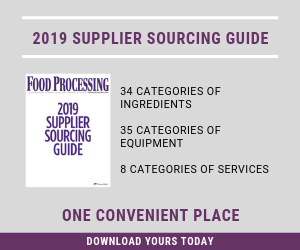 "Syrups provide a cost-effective source of bulking solids with varying molecular weights that will impact texture and sucrose solubility/crystallization, especially in soft candies," he explains. "As the syrup's average molecular weight goes from low to high, the texture might become longer," he continues. "Syrups also provide reducing sugars that will impact the product's water activity and humectant characteristics, and could, in turn, impact texture and bite. It is important that the syrup's dextrose equivalent and use level be balanced with other ingredients, for example sugar, starches, gums, pectins, etc., to develop a texture pleasing to consumers." You can find out more about formulation ideas on Cargill's blog on FoodProcessing.com. Written for technical professionals by Cargill's food and beverage scientists, Formulating Ideas addresses the key challenges facing food and beverage formulators and ideas for solving them. Visit the blog today. Some of the high-potency natural sweeteners making their way into confectionary products create challenges of suitable bulking agents. Sanjiv Avashia, senior food scientist for Tate & Lyle Inc. (www.tateandlyle.com), Decatur, Ill., describes the process for monk fruit (luo han guo), a natural sweetener about 200 times as sweet as sucrose. The company has partnered with BioVittoria Ltd. (www.monkfruit.org) to create Purefruit monk fruit ingredient, used in confectionery applications for developing "naturally sweetened" reduced-sugar and sugar-free products. Traditional sweeteners, such as sucrose, dextrose, fructose and corn syrups, can be replaced by a combination of monk fruit and an appropriate bulking ingredient. Avashia notes Tate & Lyle's Promitor brand of soluble corn fiber allows processors to achieve reduction in sugars and calories in the finished products when used in conjunction with Purefruit. Purefruit also can be synergized with Tate & Lyle's Krystar 300 crystalline fructose for increased sweetness and flavor perception. A variety of confectionery products, such as jelly candy, chocolate and caramel, can be formulated with monk fruit while claiming a "natural" label. Monk fruit is highly stable in both neutral and acidic foods and provides excellent heat and acid stability during high-temperature processing. A preferential hydration of monk fruit with moderate shear will facilitate uniform perception of sweetness in the finished product. It's readily soluble in aqueous phase of formulas, with moderate mixing, and solubilizes rapidly in water at ambient temperature under moderate mixing conditions. In fruit solids-based and fruit-flavored confections, monk fruit enhances fruit flavors while increasing sweetness perception. Usage level should not exceed beyond an optimum level in order to avoid an aftertaste. Nuts are enjoying a resurgence as a confectionary inclusion due to their strong health affiliation. Although calorie-dense, they are good calories with unsaturated fats that promote health and satiety plus protein, vitamins and minerals in abundance. But recent jumps in cost for traditional tree nuts, such as pecans, could have put a damper on taking advantage of their strong favor. But Mother Nature was good to pistachios, with bumper crops coming in conjunction with increased availability and a concerted marketing effort. Formally imported from Iran, pistachios have been greatly underutilized as a confection ingredient. The nuts were almost exclusively used as snacks. Judy Hirigoyen, director of global marketing for the American Pistachio Growers (www.americanpistachios.org), says a bumper crop of 600 million pounds (vs. the average of 250 million), and a forecast of similar production or more for the foreseeable future, American pistachios are rapidly becoming the new darling of confection makers. Chef Jean-Yves Charon, founder and pastry chef of Galaxy Desserts Inc. (www.galaxydesserts.com), Richmond, Calif., takes full advantage of pistachios' au courant status. He uses both the whole nut and pistachio flour. "The flour from pistachios is interesting to work with and the green color attracts attention," says Charon. Mia Cohen, COO of Setton Pistachio of Terra Bella Inc. (www.settonfarms.com), Terra Bella, Calif., created chocolate-covered pistachios for multiple commercial outlets, including Trader Joe's supermarkets. "Using pistachios in confectionary applications is catching on and we're going to keep seeing more of it," says Cohen. "Some examples of how our confectionary customers use pistachios include frozen items such as ice cream, mochi and gelato; pastries; chocolates; caramels; glazed items and others." Another nut suddenly on the American confectioners' radar is pine nuts. Penny Frazier, founder of Pinenut.com/Goods from the Woods (www.pinenut.com), Salem, Mo., provides soft-shelled and hard-shelled dehydrated pine nuts from two American pine nut species. Pine nuts in the U.S. are most familiar as a key component in basil pesto, with use in confections limited to the occasional ethnic bakery. Moreover, pine nut use here was further curtailed when product from Asia was found to set off a reaction in some people called pine nut syndrome (PNS). PNS, attributed both to the species of nut and the processing, triggers a chemical reaction that leaves a bitter taste lasting from several days to several weeks. "Species identification is critical for both avoiding PNS and making the right flavor choices for a desert," says Frazier. "In the EU and China, only certain species may be sold for food." Other technical aspects that pine nuts processors and users should note are short shelf life of shelled nuts and strong flavor — a little goes a long way. "In deserts, small pieces should be used," says Frazier. "We now offer ground pine nuts as seasonings." The leap from nuts to chocolate is a short one — the combination could be called an expanding classic as more confection makers pick up on just how irresistible consumers find the pairing. "For better flavor impact, it is better to use freshly roasted nuts for chocolate formulations," says Joe Sofia, Cargill's chocolate specialist. "Once nuts are roasted, the clock starts ticking on shelf life, and the limiting factor is usually rancidity from oxidation. Raw nuts provide a longer shelf life, but roasted nuts provide better flavor." Chocolate itself is the premier flavor choice for consumers wanting an indulgent confection. But the past few years saw a big shift toward dark chocolate. "The concern about health and well-being is rising and dark chocolate has been associated with potential health benefits, especially because of its antioxidants," says Josh Rahn, Cargill's product development supervisor of cocoa and chocolate. "This offers a way for consumers to indulge in a premium confection while keeping their well-being in mind." Moreover, consumers are seeking to indulge themselves in premium chocolate products. We are seeing an increase in the number of premium white chocolate products and products made with high cocoa content. And other categories of flavors also are emerging, especially in combination with chocolate. Confections made with uncommon herbs and spices, such as lavender and turmeric, are finding their way into confections, along with greater use of olive oil and alcohol (bourbon, whiskey, red wine). Also, comfort foods, such as potato chips, "birthday cake" flavors (especially red velvet) and bread crumbs, are quickly becoming popular ingredients.